Yes....aren't we all yearning for a little Spring?! Rosanne has challenged us with just that........she wants to see a little 'Springlike' creation. Shame we can't challenge Mother Nature with the same task! So, you might choose Spring colours, a Spring theme or image......doesn't really matter as long as there's a fresh contrast to the white/grey blanket of snow we've suffered for the last few months. I chose to go with a 'Springlike' cluster of blooms I picked up as a freebie file from Miss Kate Cuttables for the Silhouette last week. I paired it with a suitable Spring like quote, and even delved into a 6"x 6" paper pad I've had in my stash for a while, aptly named 'Spring Fling'........are we clear here? I thought this flower cluster looked pretty cute, and it was.......until I had to glue together the hundred teeny pieces. Note to self: make the card a little bigger next time! Why not delve into Spring yourself this week, and enter the challenge over on the blog. The Girlfriends too have been suitably inspired as always. I think all the effort was worth it...beautiful, sunny card. That's a lot of pieces to put together, but the flower cluster does look great on the card. I really like the quote and bright colours. 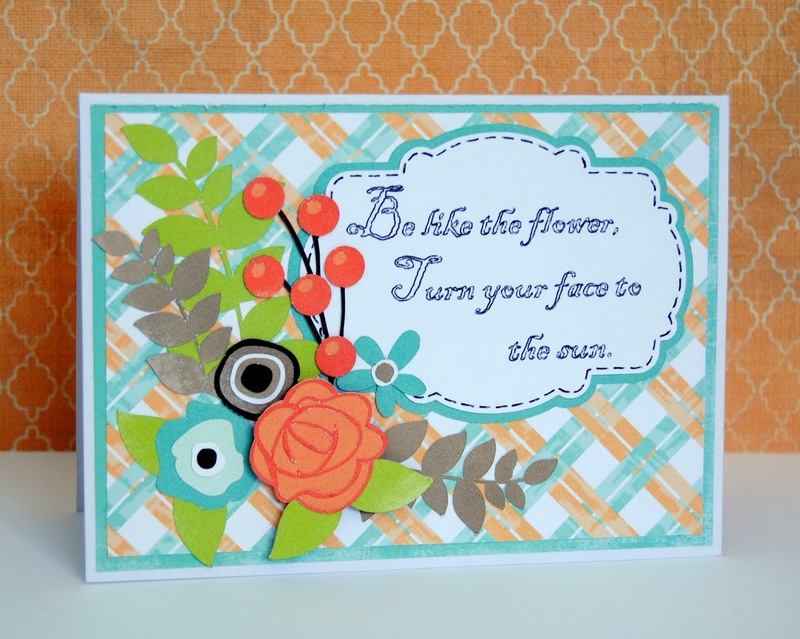 Beautiful spring card. 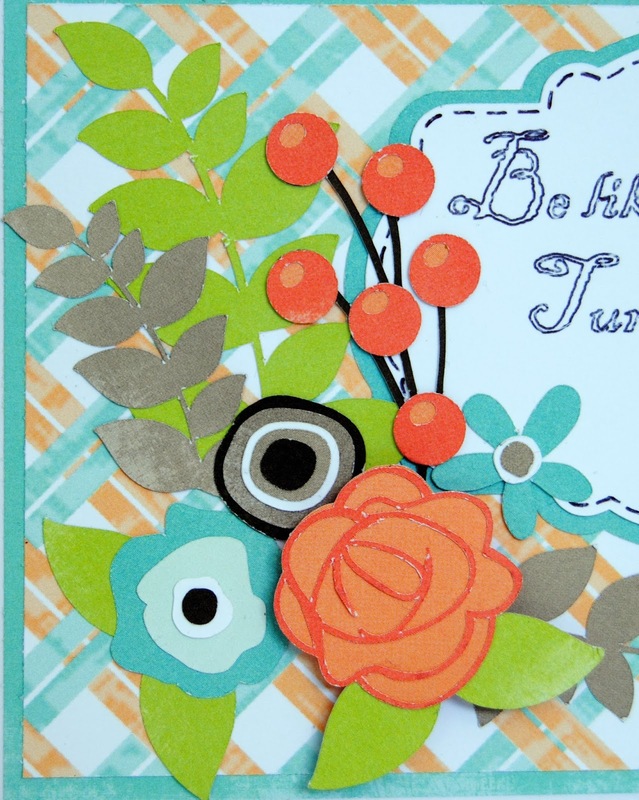 A very pretty card, well worth putting all those little pieces together!